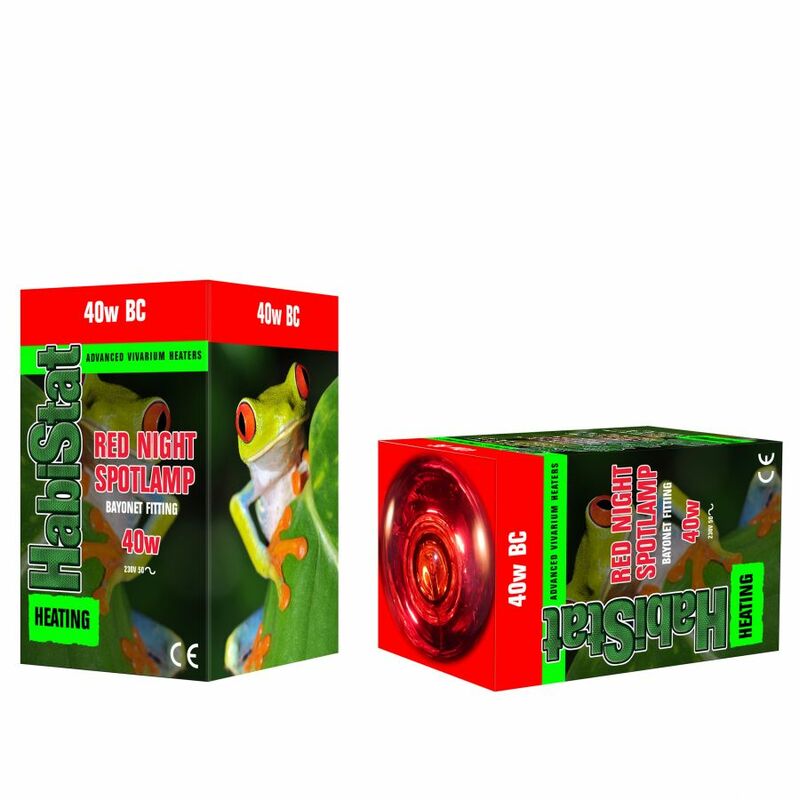 HabiStat Red Night Spotlamp 40 watt Bayonet | Livefood UK Ltd.
A reptile red night spotlamp will provide an intense beam of light and heat which the animal can quickly warm itself. The lamp is designed to concentrate the heat in a small local area and is not designed to heat the whole vivarium. The lamp wattage should be chosen to match the appropriately rated holder, the size of cage, type of animal being heated and the temperature required.